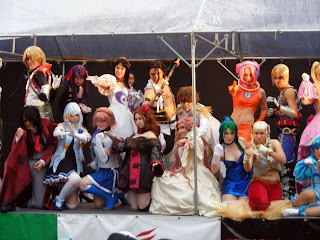 At the beginning of the month I went to see the World Cosplay Summit here in Nagoya. 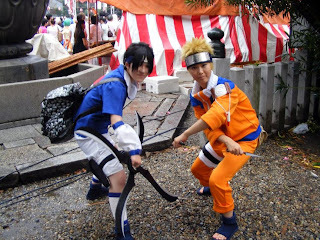 The word cosplay originates from COStume and rolePLAY and to summarize, it consists of people dressing up as their favorite characters. 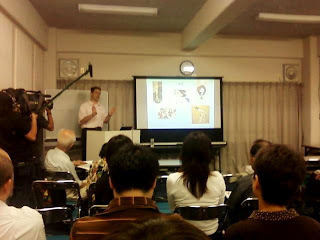 Some days before the event I attended a conference by one of the organizers, Edmund Hoff (Vancouver, Canada). 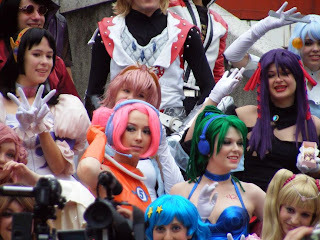 The conference was aimed at AGGN guides mainly and its title was "Popularity of Otaku Culture Abroad, what's good to see in Nagoya?". 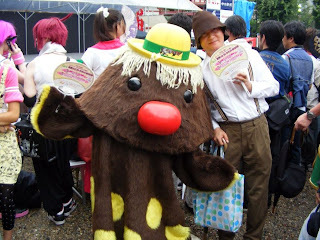 Edmund talked about manga and anime, shops in Nagoya and about the event itself. The event was divided in two days and I went to see the first one which consisted of a parade around Osu Kannon (the manga district of Nagoya). 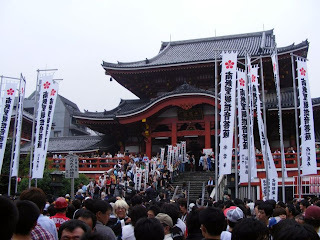 The main temple in Osu Kannon was full of people waiting to see the outfits of the participants. I took some videos in a crossing at Osu Kannon to show the parade. They all look like they were having lots of fun. 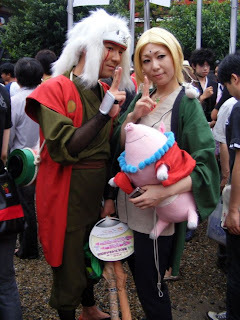 Naruto and its characters were very popular and I saw quite a few people dressing up like them. There was also a great variety of participants, from young girls to more mature fans.Probably they had been working on their outfits for a long time before participating in the event. Apart from the parade, there was an international contest with around 15 participating countries. It's amazing to know that they just came to Japan to participate in such an event!